The Tribune Trust is a registered charity that makes grants to help groups and communities reduce crime and make their areas safer. The Trustees are especially keen to support initiatives involving young people. 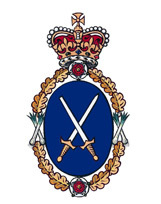 The Tribune Trust is a unique partnership between the High Sheriffs of the East Riding of Yorkshire and Lincolnshire, Humberside Police and the Humberside Fire and Rescue Service. To find out more about the work of Humberside Police, Humberside Fire & Rescue Service and High Sheriffs, please click on the logos below.